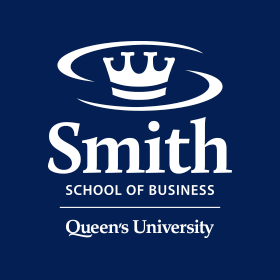 On April 14th, 68 members of the graduating MBA class of 2012 pledged to lead with integrity and to use the knowledge and skills they acquired at Queen’s to create value for society. Scores of Commerce students donned white t-shirts and assembled on Tindall Field to be filmed from the air on April 3. Kingston , March 29, 2012 - Jane Wu, BCom’12, and her teammates took home top honours at the annual Paul and Tom Kinnear Business Plan Competition held March 29 at Goodes Hall. Their venture, Penyo Pal, is an engaging game for “kids and kids at heart” to learn Mandarin.